As I was practicing my golf swing this morning, I was enjoying the warm winter Dubai sun shining down on me. I took a deep refreshing breath, and Iwas immediately taken to the summers I spent in the USA. 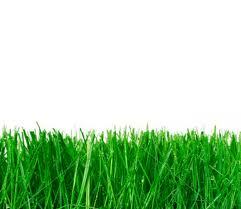 The smell of freshly cut grass brought back those memories of fun summers with family. I was driving back home in my car, windows and sun roof open along Garhoud bridge, when 92 FM surprised me with the nostalgic beats of " Don't you Want Me", by Human League. It has become a cliche now, since Proust's famous madeleines, that our taste buds can bring back vivid memories. In my case, it was the smell of grass, the feel of the sun, and the music, that intricate combination of three of my senses, that jolted me back to a special summer. The only things that were missing were the caramel Cracker Jacks and the Slushie drinks from the 7 Eleven to completely send me back to the summer of 1981, in Sandy Utah. Human League had come up with the single "Don't you Want Me", that my youngest uncle, 18 years old at the time, used to blare in his car repetitively. Eventually, my female cousins and I began lipsynching to those catchy beats, and we would often be found singing it accapela in a random room of our grandparents' home. We were nine to eleven year old girls, dressed in terry cloth tube tops, with strawberry flavored lip gloss on, and we would pretend to hold up a tray, waitress style. It was the same summer I developped a crush on my swim coach and my cousins really teased me about it! We were all part of the swim team, no less than six swimmers from one family. I am sure our parents got a good bargain too! With Depeche Mode and The Cure tunes, , the same 18 year old uncle drove us through windy roads, as we returned our eyes red from the chlorine, for our everlasting hours of play, in a gated community which every nook and cranie we knew. One summer morning that same year, my father woke me up with huge excitement. It was the 8th of July. A day we have been celebrating for 29 years now. "You have a baby brother!" he congratulated me. That birth had ALMOST occurred in the back of a yellow Cadillac, with my poor mother enduring contractions after contractions, while my father rushed to refill the car which tank had been left empty by a young and forgetful uncle. Luckily they made it to the hospital just in time for her to push my little brother out. He takes pride in this story, and on being the only one of us to be born in the USA. 29 years later, my brother, the youngest sibling in our family of 4, who was the true highlight of this magical Summer of 1981, has welcomed his second son! I'm sure our parents got a good bargain! We had swim team at 7 am and went home at 7pm. Our parents got 12 hours of day care and swim team in one go! The only thing that fueled us was the one entire bread bag of peanut butter sandwiches and the 25 cent Seven Eleven hotdogs, packs of Nerds and handfuls of Bazooka bubble gum. After our swim team (in which, I swear, we swam 1,220,000 laps) we used to scrounge the tennis courts for lost change when the players had finished playing and then run to the Seven Eleven by the club to buy our provisions and then run back to the swimming pool to divide, equally, our loot. In the even we didn't find any change we would climb the crab apple trees in the club, pick all the crab apples and put them in empty tennis ball cans. Again, we would sit and equally distribute our loot. And the name of the tennis coach was Steve. Sigh. Thanks for bringing up the fond memories Yass. Summer memories are the warmest and loveliest,especially if you grow up in an extended family that has branched into so many cousins.Best of all if your cousins are your playmates and best friends,a friendship that grows in time,and in some instances extends to your own children. The arrival of our baby son was quite traumatic,in that not only the yellow Cadillac had no gas,but the hand brake was stuck.So it was a long way to descend from the Utah mountains to down town SLC.By the time the screaming mother reached her destination,the baby was literally born in the back of the car.